Eli Tamez is from Mesquite, Texas. He has been training in Muay Thai, kickboxing and Brazilian Jiu Jitsu for three years. He trains at Octagon MMA in Dallas, TX, under Bruno Bastos (who is one of the top BJJ Black Belts in the world), MMA coach Sayif Saud and Jamill Kelly (Eli’s wrestling coach and silver Olympic medalist). Eli fights at 135 lb and his amateur record is 6-0 – he won his first fight by TKO and last 5 by submission. On January 29th Eli debuted as a Pro at Texas promotion Xtreme Knockout 9. 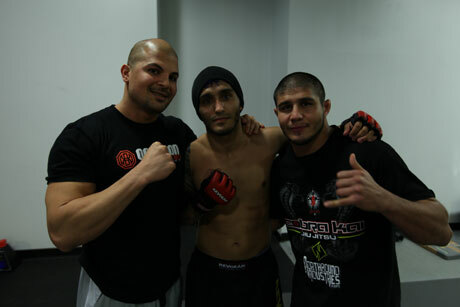 He defeated Kashiff Solarin by decision and started his Pro career with a victory.